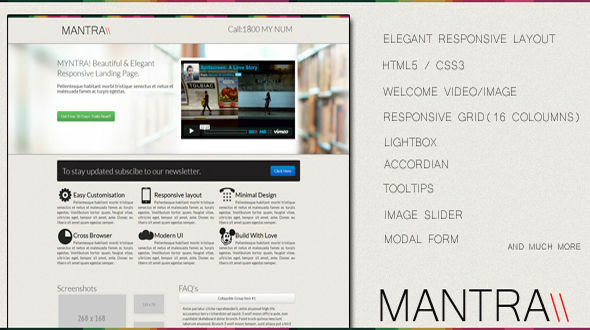 Mantra is a premium HTML5 Responsive landing page.It has great modern and elegant design with numerous plugins included. Designed with a motto of turning your visitors into customers this theme has all that you need to have a great landing page or even a complete website. Bundled with a lot of features and plugins that are very easy to customize and use. 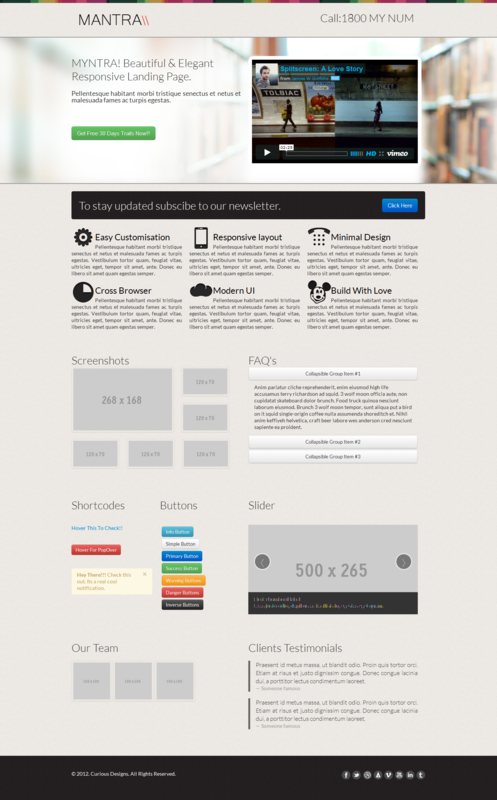 And yes, Its RESPONSIVE!! !